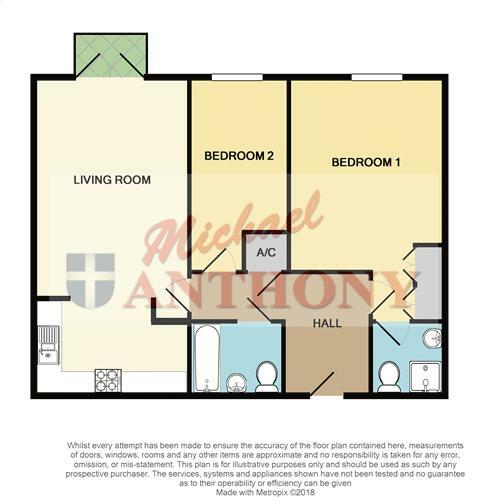 TOP FLOOR APARTMENT- Located within walking distance of Aylesbury town centre and Aylesbury train station we are pleased to offer this two bedroom apartment with a private balcony. Accommodation comprises, security entrance, kitchen/lounge/diner, two bedrooms with en-suite shower-room to master bedroom and allocated parking. Offered with NO CHAIN call Andrew for further information. Doors to all rooms, telecom entry system. UPVC double glazed french doors open onto balcony, radiator, telephone and television points, opens to kitchen. A range of storage cupboards at base and eye level, rolled edge work surface areas, integrated fridge freezer, dishwasher, washing machine, four ring gas hob and electric oven with extractor hood over, one and a half bowl and drainer with mixer tap over, splash back tiling, opens to lounge/diner. UPVC double glazed window to rear aspect, radiator, built in wardrobes, telephone and television points, access to loft space. A three piece suite comprising a panelled bath, pedestal wash hand basin, low level w.c., radiator, extractor fan, inset spotlights, splash back tiling. Allocated parking, visitor spaces available.